Ready for your new home! 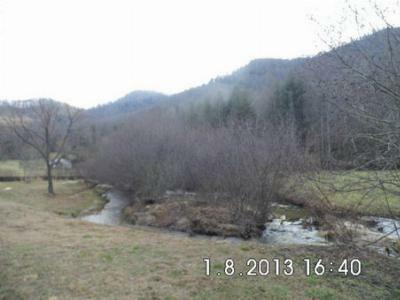 1.97+/- Acres with over 300 Feet of Creek Front with Mountain Views! 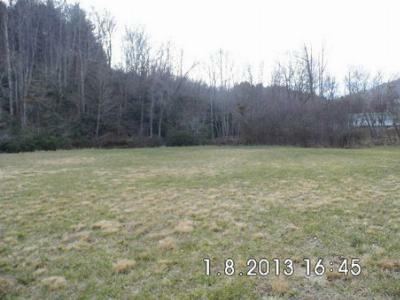 This property is mostly cleared off with a 2 Bedroom Septic System already installed and water rights to a well in Black Bear Ridge Subdivision. There's no expense of drilling a well. 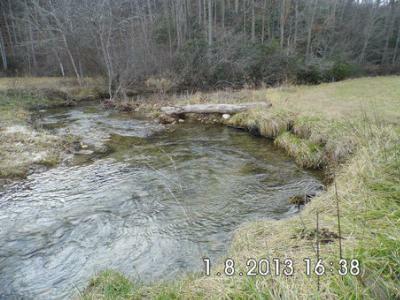 You are on a fast flowing Creek where you can fish and play from your own property. Parcel is nearly level with very easy access but private. It's the perfect place to build your Mountain Home. There is a lot of Forest Service Land in this area so if you like to hike, picnic or just enjoy nature...you're going to love this one. Deer and Wild Turkeys are your neighbors. Schools servicing this area include South Macon Elementary, Mountain View 5-6, Macon Middle and Franklin High School all within 15 minutes of this property. Located in Otto/Franklin, NC less than an hour to Cherokee, NC and Harrah's Casino, 70 minutes to Asheville, NC and only a 2 hour drive from Atlanta, GA.